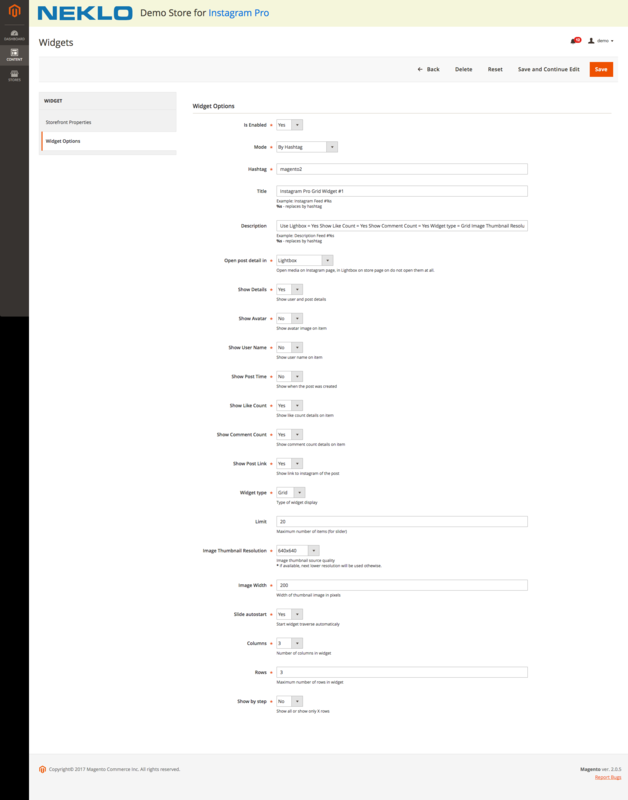 Instagram Pro Widget is a new extension for Magento 2! 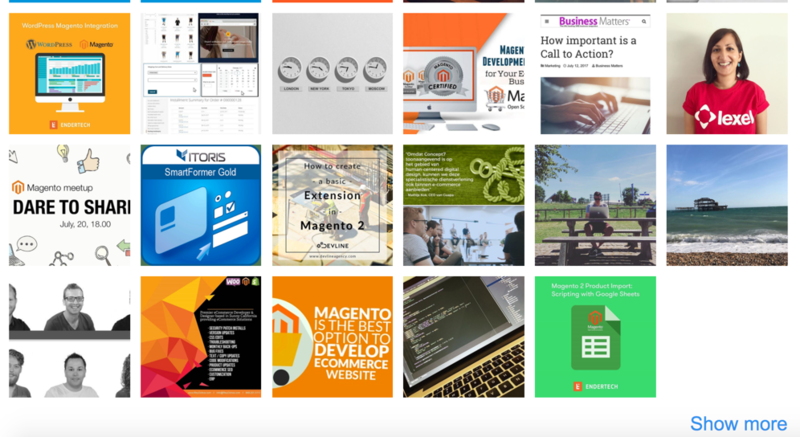 Integrate your social media with Magento 2 web store. Instagram Pro Widget is an easy way to display necessary photo. Show your products from the best side and let your customers buy easily. For now the functionality of this extension is limited due to the circumstances beyond our control. After the recent changes in the Instagram API policy, some of the features mentioned in the extension description and in the Userguide might not work as expected. Our development team is already working on fixing these issues. Instagram is one of the most popular social media in the world with the great opportunities for eCommerce. Integration with social media is a must in modern online selling. Instagram Pro Widget adds instagram feed to any page of your website. 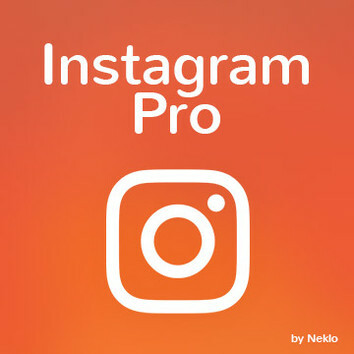 Instagram Pro Widget for Magento 2 simplifies instagram integration with your site. By default, integration with Instagram is quite difficult, for you should go through a number of steps to start displaying photos. And still there will be no full integration. You will only be able to display photos by a hashtag and your account’s photos. Instagram Pro Widget allows you to display any photo from instagram without authorization. You can just install the extension and start working on instagram integration. Instagram Pro Extension provides different variants to display photos. You can add photos by hashtag or by users ID (not only from your account). This gives you more opportunities to display the images you need. The extension allows to improve your page and increase your customer loyalty. Instagram Pro Widget creates a wide range of opportunities for website customization. It improves customer experience with your store. 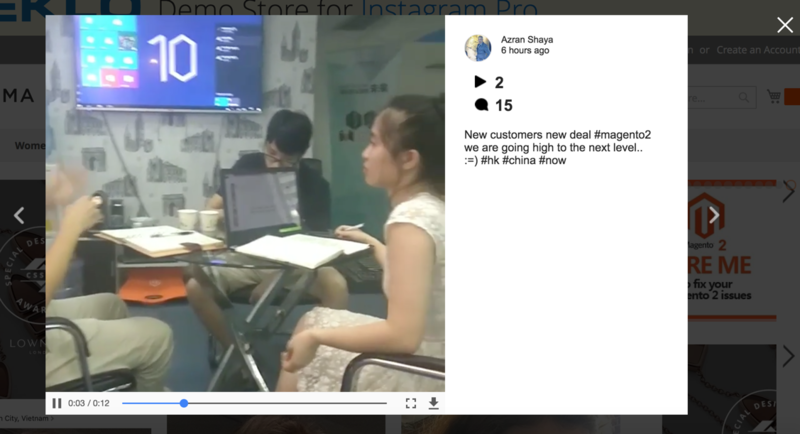 Display Instagram Pro widget on product pages, so you can show your products applied in real life. Choose photos of your customers with your products. Real experience can promote your business better than any advertisement. This extension displays the most popular products in neat and appealing tabs at your home page. Facebook Widget for Magento 2 brings the Facebook timeline of your corporate Facebook page to your store by displaying its latest posts and updates. Let your Facebook feed speak for you and direct your customers attention to the activities, products and information that might make a difference for them. Featured Product by Category allows you to show featured products automatically right on a Product Category page of your Magento 2 store! Featured Product by Category is a simple and functional extension for Magento 2 that helps stores drive new sales. The extension displays featured products by category on a Magento Category page to attract customers’ attention to certain items. Twitter widget extension for Magento 2 is designed to bring your recent Twitter feed updates to your online store customers. It is a simple and clear widget that displays your Twitter timeline with the latest tweets on any page of your store and allows webstore visitors to view the fully functional Twitter feed without following any links or popups. With Twitter widget you are able to keep your customers updated and present all the news and special offers to them in no time.